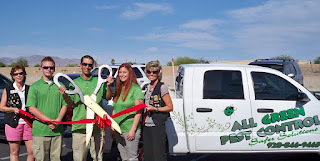 The Lake Havasu Area Chamber Ambassadors held a ribbon cutting for All Green Pest Control celebrating its 3 year anniversary. Attending the ribbon cutting from left to right is Nancy Leamons, Michael Sullivan, Lyle Walters, Amy Walters, and Denise Johnk. 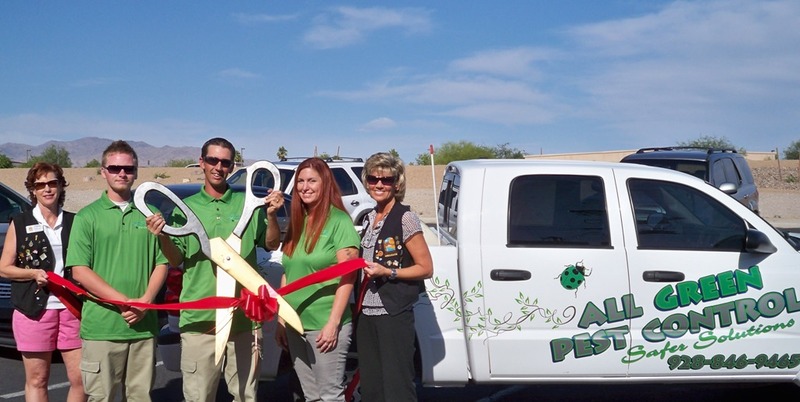 All Green Pest Control is located at 2275 Interceptor Dr. For more information contact them at (928)846-9465.